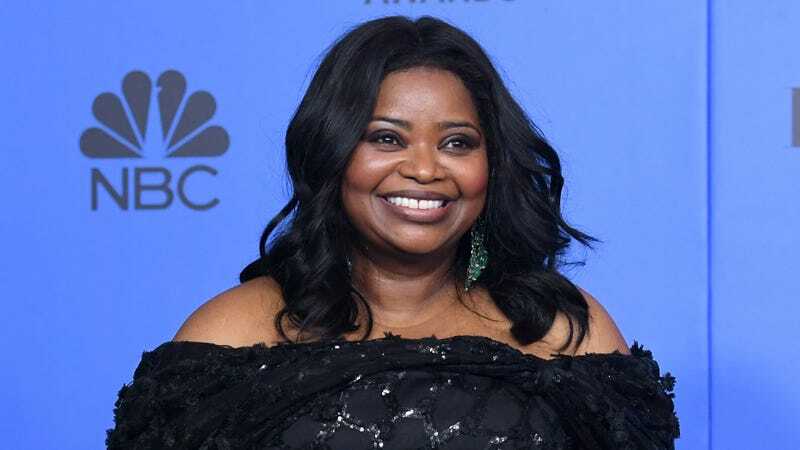 Octavia Spencer poses in the press room during the 76th Annual Golden Globe Awards on January 6, 2019 in Beverly Hills, California. Octavia Spencer has been increasingly vocal about the pay disparities in Hollywood for women—and for women of color in particular. On a “Women Breaking Barriers” panel at the 2018 Sundance Film Festival, she revealed how Jessica Chastain stood with her to demand equal pay on an upcoming joint project, giving a master class in how allyship really works. Spencer was joined onstage by actresses Kyra Sedgwick and Jenna Elfman, as well as producer Cassian Elwes, who has been doing his own work to further parity and inclusion, even in the seemingly progressive environment that is Sundance. Time’s Up, indeed. This year’s festival also hosted the launch of the “4% Challenge,” which confronts statistics by the USC Annenberg Inclusion Initiative that revealed that only 4.3 percent of the 1,200 top-grossing films between 2007 and 2018 were directed by women.